Composed by Giovanni Battista Biondi da Cesena. Arranged by Aristotle A. Esguerra. Renaissance, Christian, Spiritual, European, Funeral. Score. 12 pages. Published by CantemusDomino.Net (S0.366861). 8. Communion Lux aeterna with verse Requiem aeternam (~1:10). *Text underlay for the Ordinary (Novus Ordo) Form of the Roman Rite also supplied. 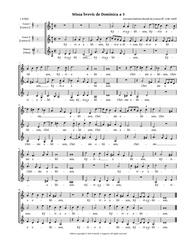 An edition in the original notated key for TTB choir is available. 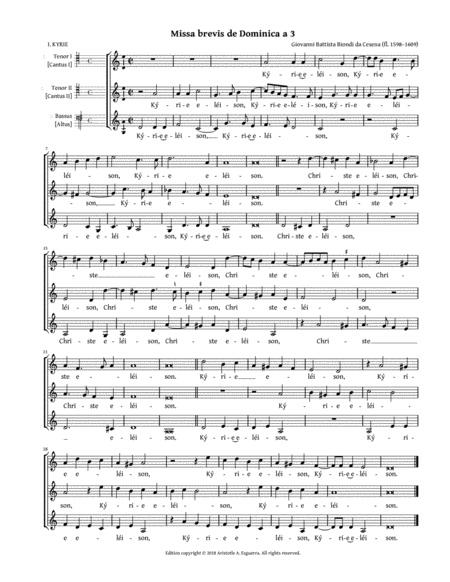 Total length: ~14:00 plus length of chanted Gradual, Tract/Alleluia, and Sequence (even verses) [not included].